Reverie Nail Lacquer – Andromeda Swatches and Review! Dearest readers. I apologize for my unannounced absence! We’ve been real busy at my place canning, making jelly, and a little home baking lately. I love it but it has been very busy and tiring! Yes! That stunner right there is in my polish drawer right now begging me to wear it again! I digress…but really you should be used to me digressing I do it all the time. 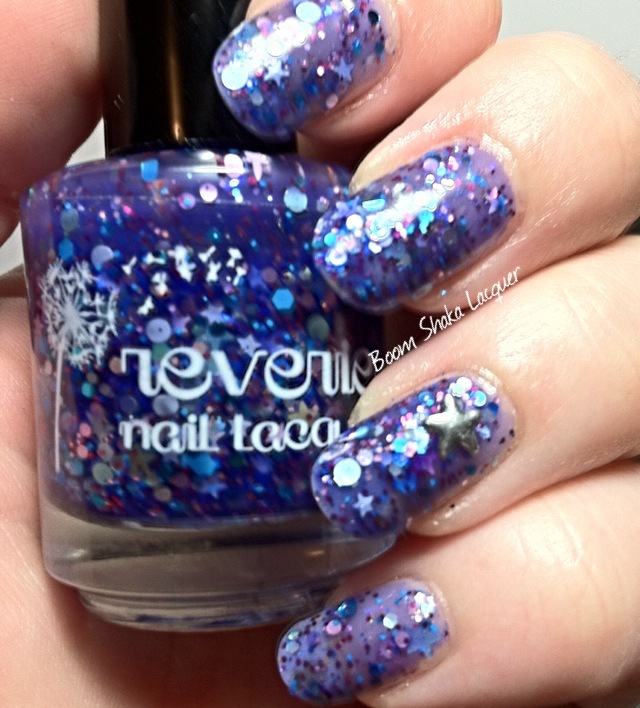 Anyway this is a gorgeous bright blurple jelly packed to the brim with glitter. There are dots and hexes and microglitter but most importantly there are STARS heaps of stars in every size and color! Surely by now you know my penchant for star glitter. Really, who WOULDN’T fall in love with this polish? This shows two and half coats (extra on the tips because it is a jelly and there fore quite sheer). Glitter fishing? What is that? It doesn’t exist with this polish that’s what! Seriously I ended up with so much glitter I had to wipes some of it off the brush. Talk about glittertastic! Not only that shaped glitters can be notoriously hard to get onto the nail but I counted 25 stars on my 10 nails before I stopped and figured that it was enough stars! What’s that? You want to see more Reverie and get you some too? Well I have all the information to drop on ya! You can see pretty pictures and get the news at Reverie’s Facebook and Instagram. You can buy your own Reverie Nail Lacquer in their Etsy Store! They are currently in the process of moving/settling in but they’ll be back soon! 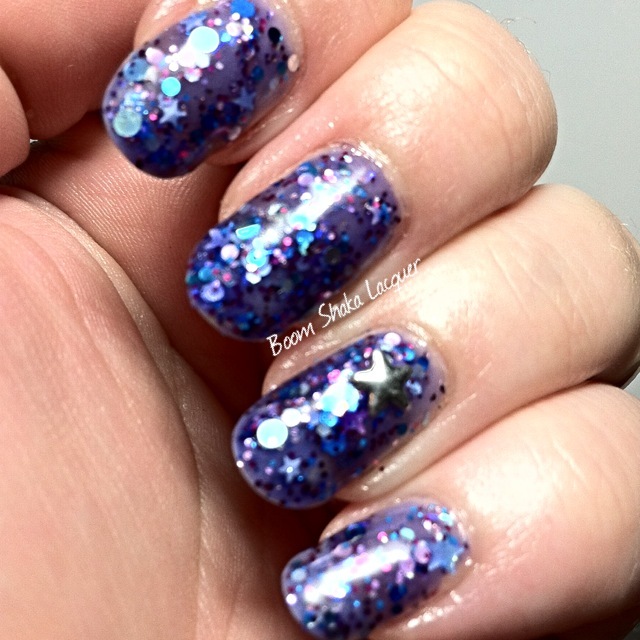 This entry was posted on July 27, 2014, in Indie Polish, Reverie Nail Lacquer.